All old tamil films have one thing in common. The hero from a small village would land in Chennai for growing big or for settling scores with the villain. The camera would zoom to Central Railway station, LIC and heritage buildings. Soon one would see him travelling him in Pallavan Transport Corporation bus. 2) Often there is debates on continuing traditions and maintaining heritage buildings. It is the legacy of physical artifacts and intangible attributes of society that are inherited from past generations, maintained in the present and bestowed for the benefit of future generations. 3) Narendranath Dutta was born in Shimla Pally, Kolkata, India on January 12, 1863 as the son of Viswanath Dutta and Bhuvaneswari Devi. 4) It is apprehended that Govt. has tried to close the lease prematurely and tried retrieval of the building. Well, by now you must be wondering – what the connection is ?? If you are interested please read on !! It does not require any introduction that Narendranath Dutta was the pre monastic name of Swami Vivekananda. Swami Vivekananda stayed at the Ice House between 6 February 1897 to 14 February 1897 when he delivered some of his most famous lectures. When Vivekananda was about to depart, he agreed to his disciples' request to set up a permanent centre at the Ice House. 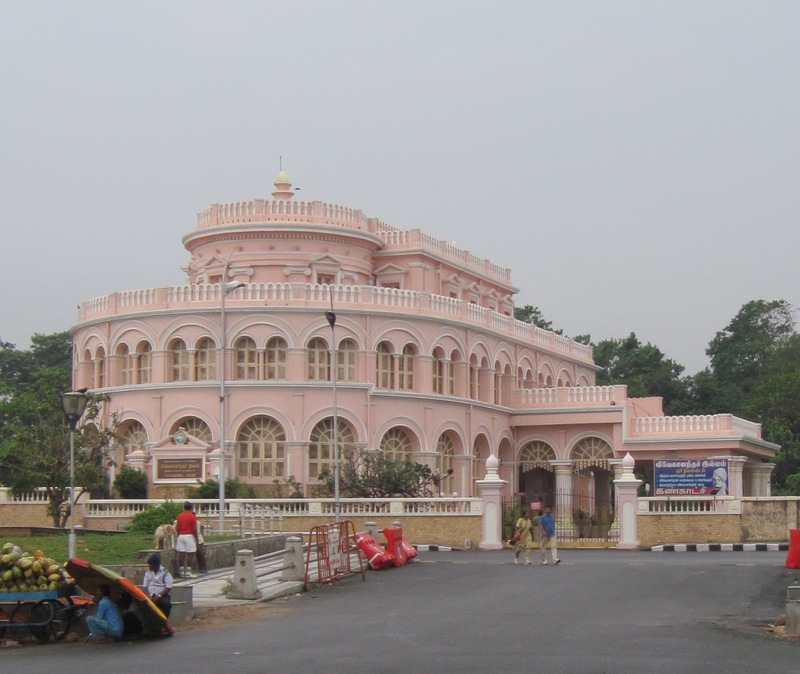 This famous building has attained cult status and is the target of pilgrimage for the admirers of Swami Vivekananda. It houses a permanent exhibition on Swami Vivekananda set up by the Chennai branch of the Ramakrishna Math. This building is under lease till 2010. Though there appears to be no written communication, it is feared that officials of the Public Works Department visited the Illam and orally conveyed to the authorities that the department was contemplating terminating the lease and perhaps some alternative place may be offered. Though the denial of this has appeared in today’s newspaper, it does represent the empty prattle that all make about heritage buildings and the actual care that is shown. Circulated to my group on 23/04/2008 and posted on web now..